The new joint venture, TPI Kompozit Kanat Sanayi ve Ticaret A.S., will commence operations immediately from a 355 000 ft2 building in Izmir, Turkey. The facility is located to serve the Turkish wind market and to cost-effectively export blades to southern and eastern Europe and northern Africa. TPI Composites, headdquartered in Scottsdale, Arizona, will control and operate the Turkish joint venture. TPI Kompozit will provide blades to key customers based on multi-year commitments. The joint venture will initially employ 350 people with the opportunity to triple the number of employees as the wind energy market in Turkey and eastern Europe expands. Turkey’s energy consumption is rising by an average of 8-9% per year, reports TPI. The country is turning to renewable energy sources as a means to improve its energy security and curb dependence on imported gas. The country’s new feed-in-tariff, including incentives for local content, combined with attractive merchant market electricity prices are supporting a high growth wind energy market. 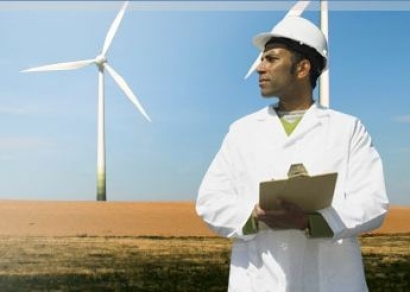 Energy experts believe Turkey’s wind market may add 500-1000 MW per year reaching more than 5 GW by 2015. It is estimated Turkey will install up to 20 GW by 2023, helping the country to source 30% of its electricity generation from renewable forms of energy by that time.